Kilbeggan is the flagship blend from the Kilbeggan Distilling Company (previously called Cooley Distillery). Most of the whiskey that goes into the blend is matured in the town of Kilbeggan, however the spirit is distilled at Cooley in County Louth. 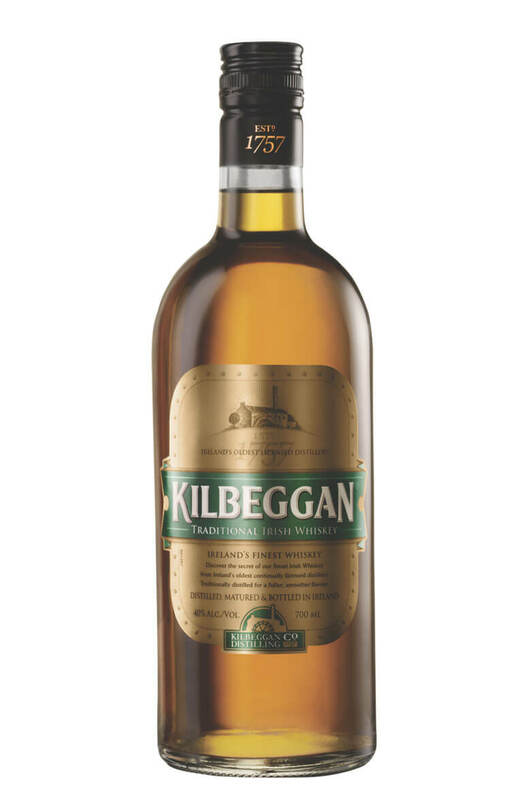 Kilbeggan is a smooth and warming blend with some nice oak character and good depth of flavour. Nose Light and soft with pear drops, apple, vanilla and popcorn notes. Finish Soft, smooth and delicate but with a very pleasant malty backbone. Lively, fruity flavours of pears, apples, and citrus. Serving Suggestion Kilbeggan Irish Storm: INGREDIENTS 1½ parts Kilbeggan® Irish Whiskey 3 parts Ginger Beer 1 part Fresh Lemon Sour TO SERVE: Build all ingredients over ice in a tall highball glass. Garnish with a lemon wedge.